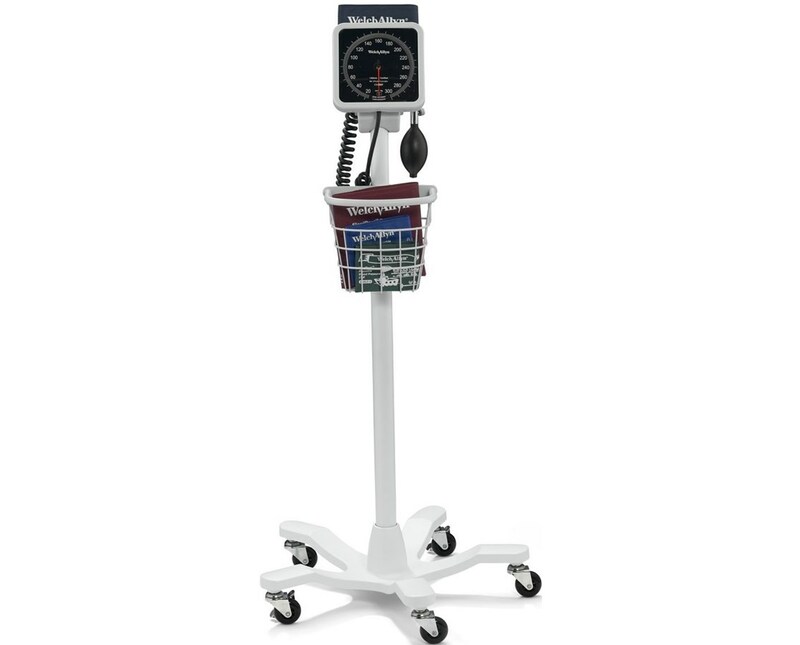 Improved ergonomics and a new modern design make the 767 Series Tycos® aneroid an easy-to-use and attractive blood pressure aneroid. 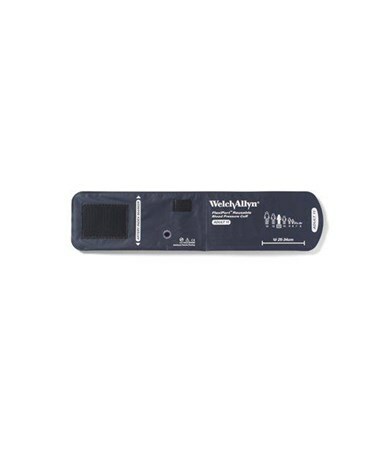 Based on Welch Allyn’s near-century of experience building and designing innovative blood pressure technology, it’s the smart choice for accurate and reliable readings in your facility. The 767 Tycos® Series aneroid features a laser-engraved dial face for unmatched accuracy (certified accurate to ±3 mm Hg), recessed dial face and high-contrast red pointer to increase visibility and reduce parallax errors, jeweled movement to extend instrument lifespan, and high-impact housing and bezel to protect the movement and crystal. The 7670-03 mobile aneroid boasts an updated look with clean, rounded edges for a modern look with all the dependability and accuracy of the classic model. Its 5-leg stand assures stability and maneuverability and features a built-in basket for convenient storage. Safety is a priority in all Welch Allyn instruments. 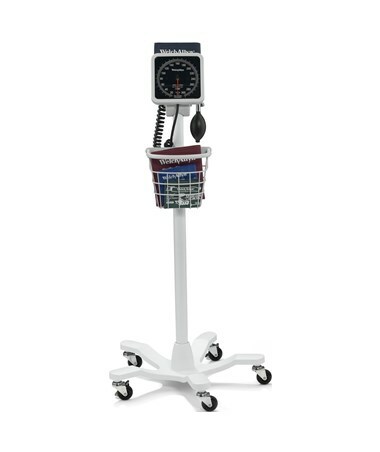 The innovative FlexiPort® blood pressure cuff included with this aneroid is latex-free and antimicrobial-treated to help prevent mildew and bacteria growth. The aneroid is mercury-free for ultimate safety and peace of mind. This product comes standard with a lifetime calibration warranty to prove our commitment to durability. 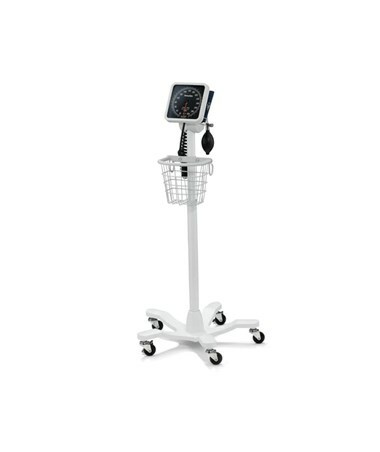 The Mobile Aneroid comes with a choice of two Adult-sized Cuffs. Select your preference from the drop-down menu above.